This time while we were within the courtyard of the Musee du Louvre within the 1st Arrondissement in the Cour Napoleon, we took these HD photos of one of the statues, which is of Lepautre and this is located on the Rotonde d'Apollon wing. 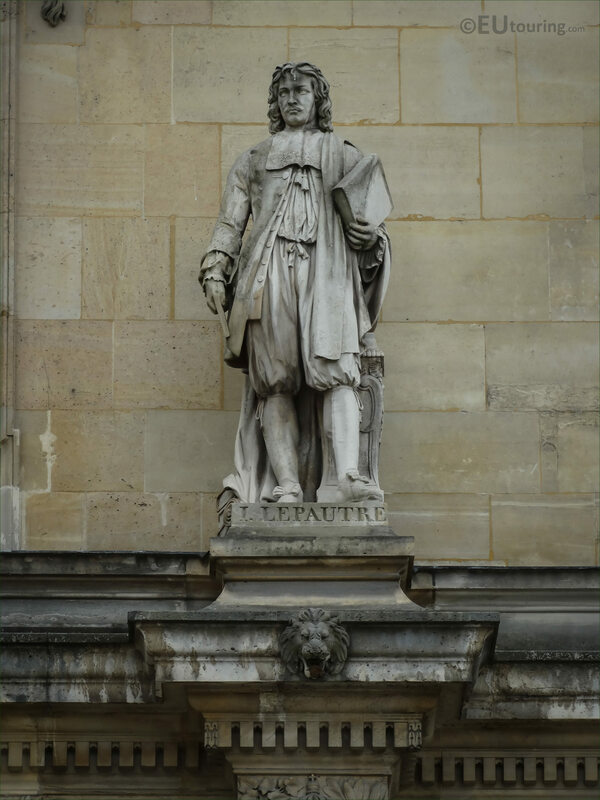 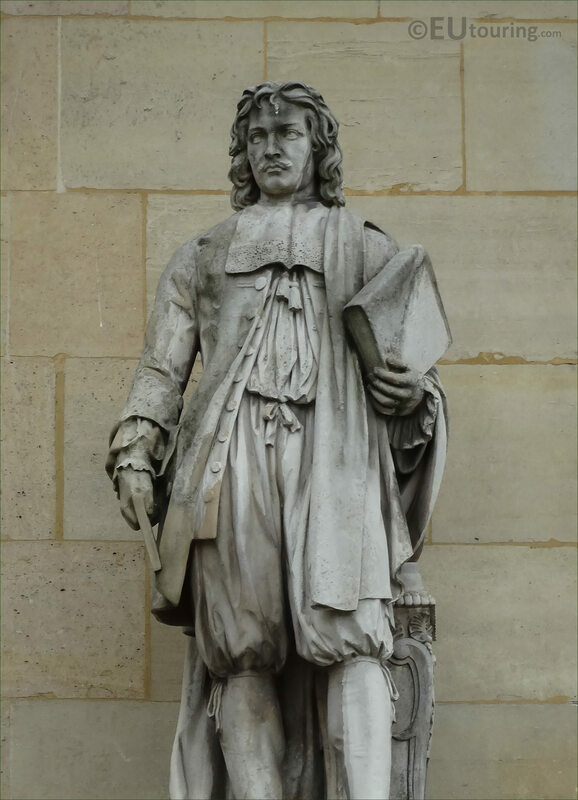 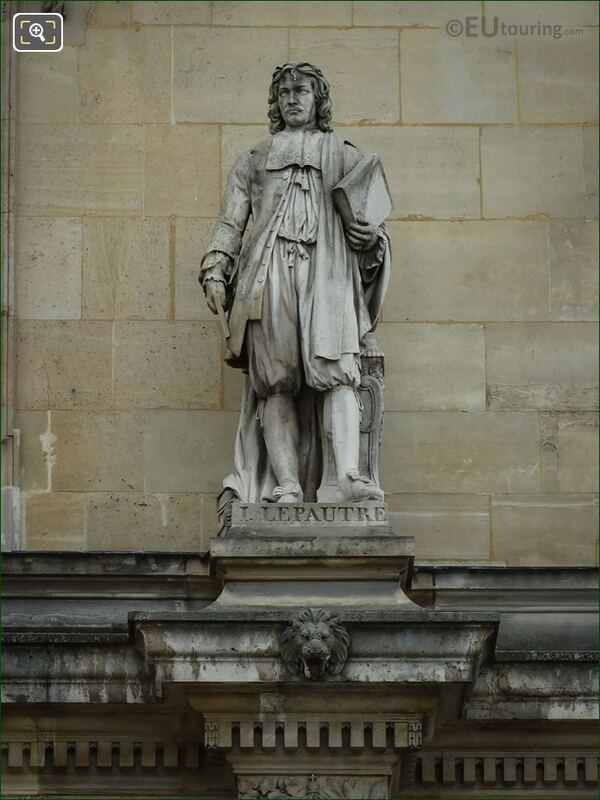 You will find this statue of Jean Lepautre, sometimes spelt Le Pautre, located on the first level balustrade of the Rotonde d'Apollon, and this particular statue was sculpted by Astyanax Scaevola Bosio who was awarded the Legion of Honour in 1857, the same year as this statue was put into position at the far right of the wing, next to the Pavillon Daru. 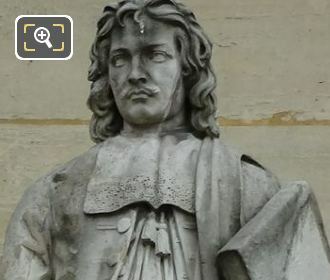 So in this close up HD photo you can see the workmanship that went into the construction of this stone statue, which was produced by the French sculptor Astyanax Scaevola Bosio, often known as Bosio the Younger who was born in 1793 in Paris and was the son of the history painter Jean Francois Bosio and student of his uncle, the sculptor Francois Joseph Bosio. 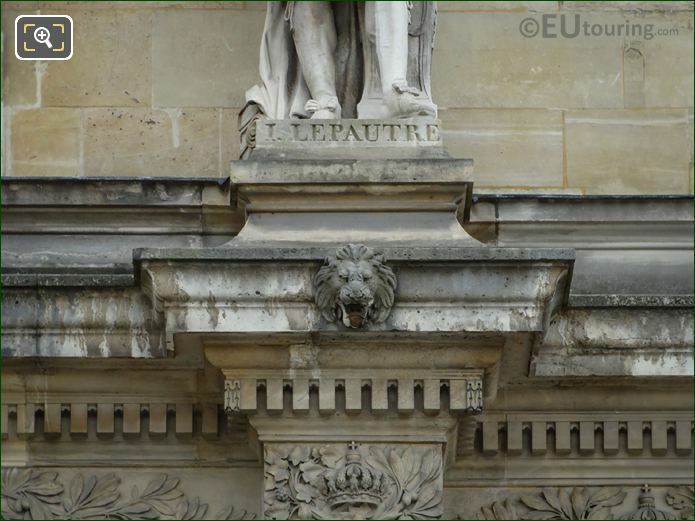 And in this last image showing the plaque for Lepautre, who was born in the June of 1618 and he was the older brother of the architect Antoine Le Pautre, and Jean became a designer and engraver working for the Gobelins manufactory, plus being very apt with a pencil he designed numerous friezes, ceilings, even cabinets, mirrors, other furniture and doorways, along with producing almost 1,500 engraved plates.